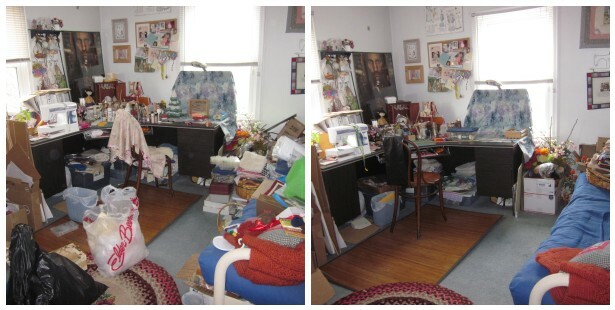 When it looks like a craft store has exploded in your work room, its time to bring some Order out of Chaos! I still need to get Aragorn hung on the wall, instead of leaning on it, and the pile of boxes in the lower left are my next project. Stay tuned. 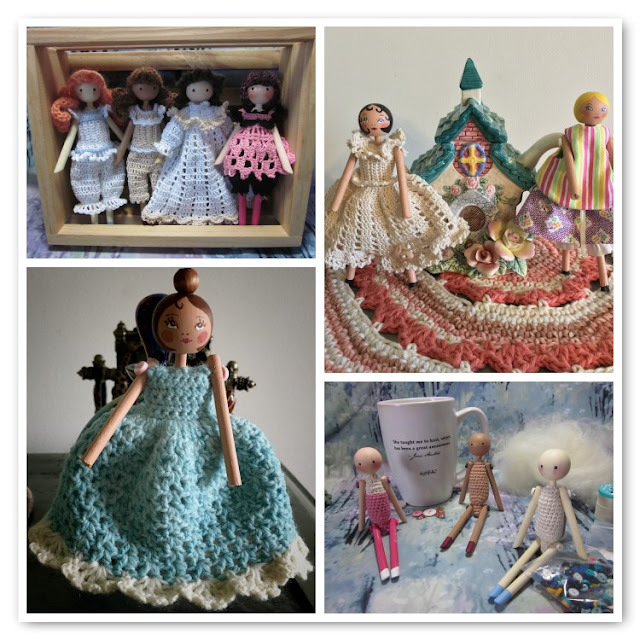 This post is especially fun to write, as I get to share with you a dollmaking collaboration between Joyce and myself. Several months ago we both became enchanted with making dolls from clothespins. 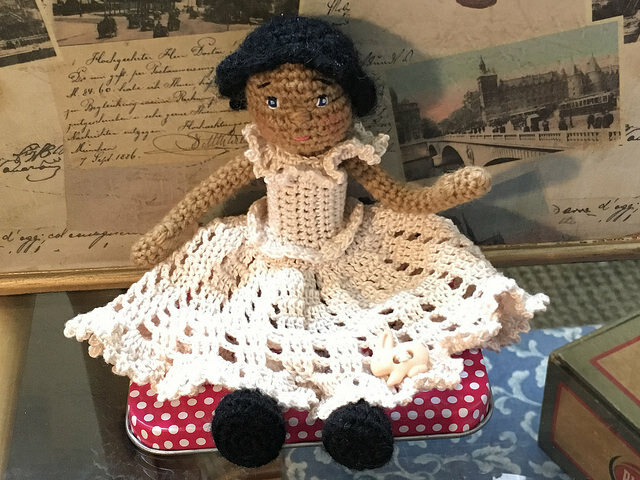 Simple wooden dolls have been made for centuries, either whittled from wood, like Hitty, or made from what was easily available, perhaps a wooden spoon or a clothespeg. 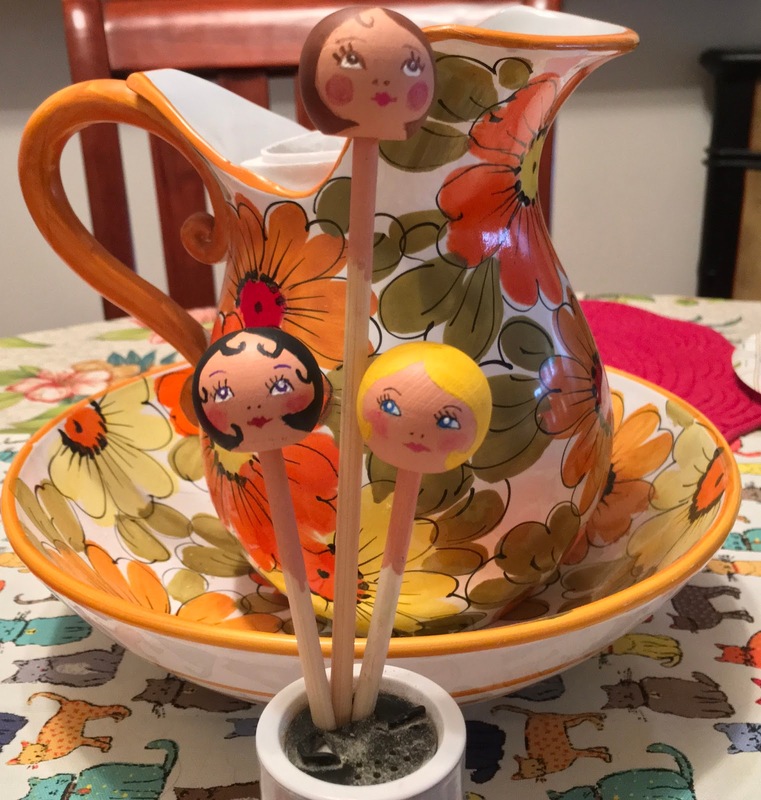 Working with our talent for crochet, and our admittedly limited ability with power tools, it seemed that a marriage of crochet, beads, and dowels was in order. And so, the soft-bodied Peggies were born! If you wish to make remove-able clothing, you can do a Google search for crochet clothespin dolls and find some free, and inexpensive, patterns that will fit these dolls. Etsy has several sellers that carry these old patterns. 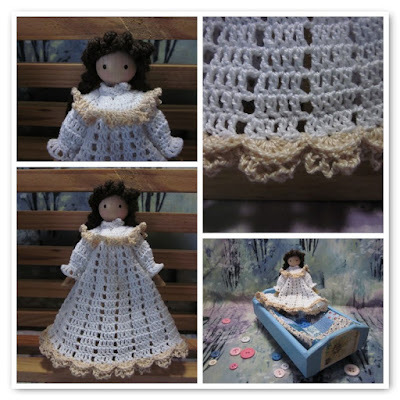 Here is a link to one free pattern, using size 10 crochet cotton. In the interest of complete disclosure, I have not tried this, but Joyce has! 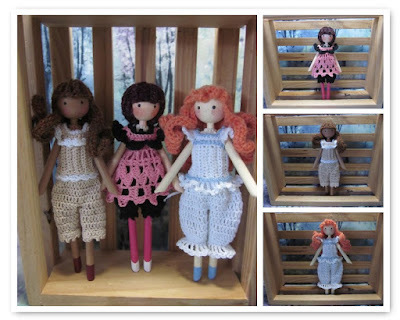 Undies and wigs for soft-bodied peg dolls this pattern includes the three wigs you see here as well as the undies. You can make an entire wardrobe with these patterns. 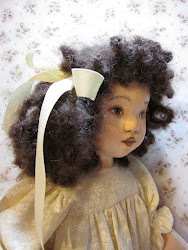 And finally, look at the adorable ways that Joyce painted her Pillow Peggies! Let your imagination run wild with these delightful and easy dolls! Enjoy! 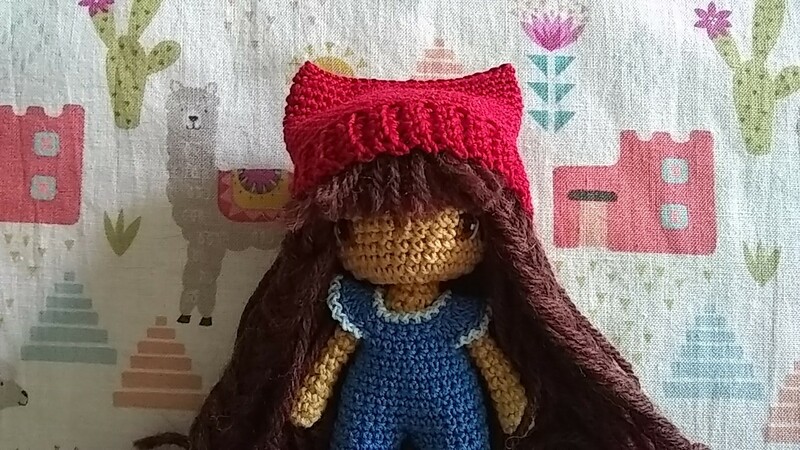 This little sprite is Annie, from Laura Teggs Little Weebee pattern, which is freely available on Ravelry. 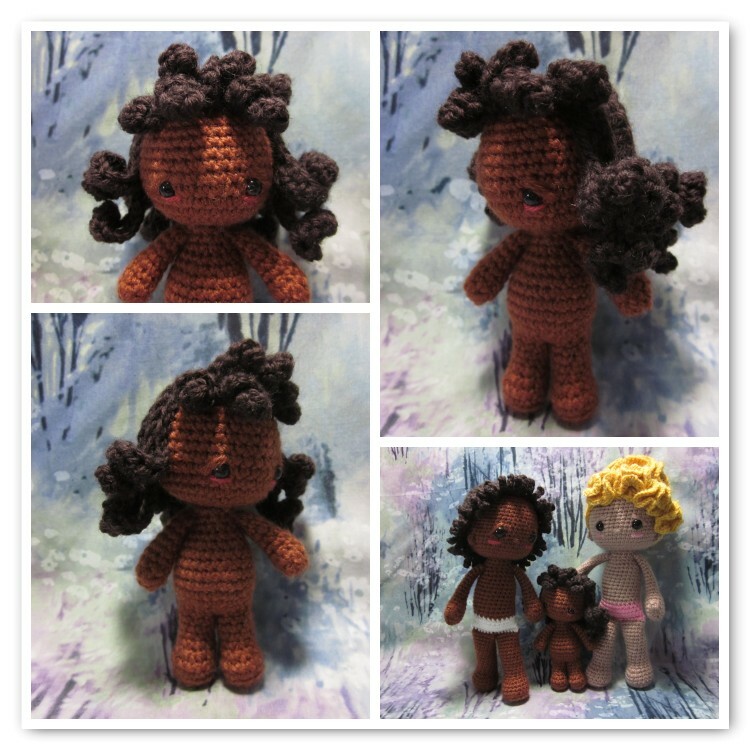 I used the bunny version of this pattern, but made Annie in a solid skin color. 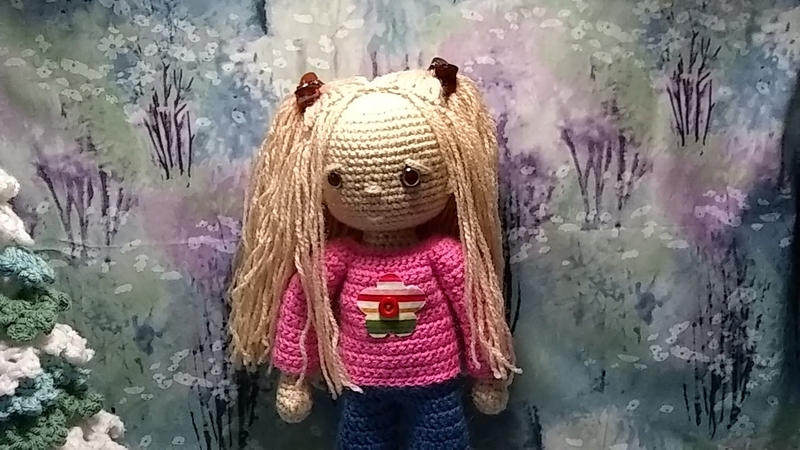 She is 4.5 inches tall when crocheted with sportweight yarn and a size C (2.5mm) hook. 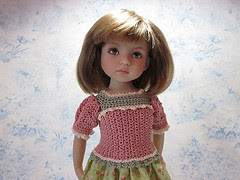 I used Knit Picks Brava Sport in Brindle for the skin color, and Wool of the Andes Sport in Fedora for her hair. 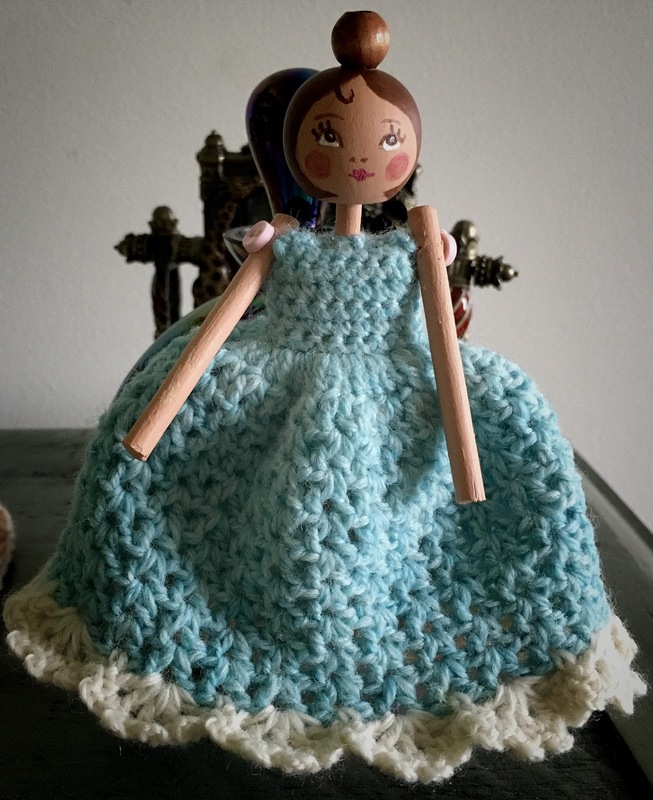 Laura also has many patterns for clothing for this little doll, both free and paid. I highly recommend her wardrobe essentials patterns. 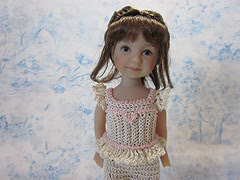 I purchased the Wardrobe Essentials Part Two, there is also a Part One and a Christmas Carolers pattern pack. 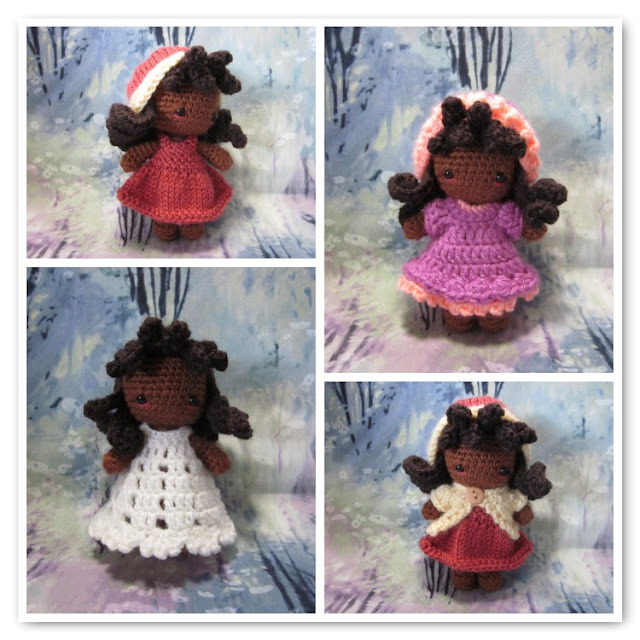 Check out all of Laura's patterns here. 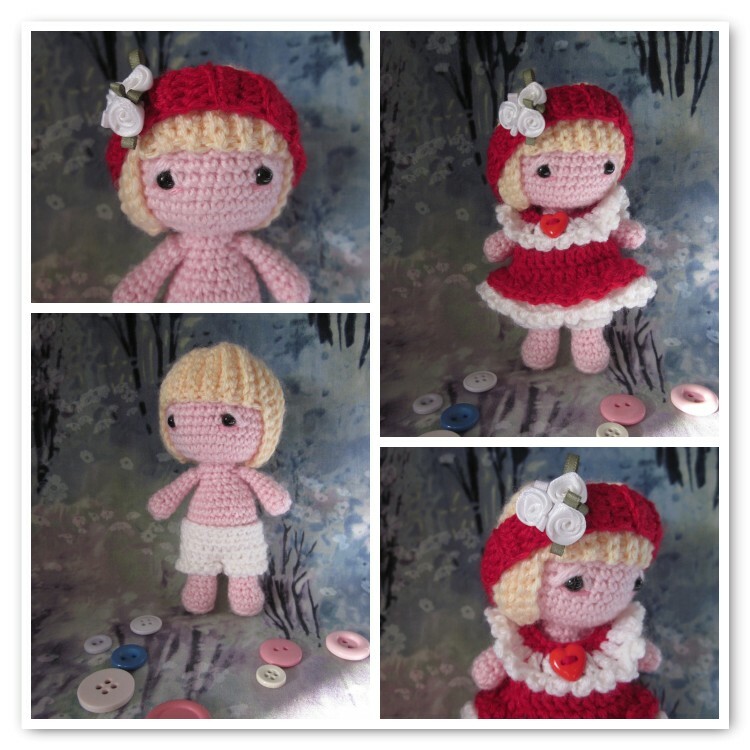 This is Little Weebee Maddie, just in time for Saint Valentine.